Hank passed away, January 26, 2019, at Oaklawn Care and Rehabilitation, in Mankato, MN. After a 17-year battle with prostate cancer. Friends may greet the family 2-5:00 PM Saturday, February 16, 2019 at the Brick Meger Funeral Home. Born December 15, 1942 to John and Marie (Film) De Raad in Hollandale, MN. He attended school at Maple Island, Hollandale and graduated from Albert Lea High School in 1960. 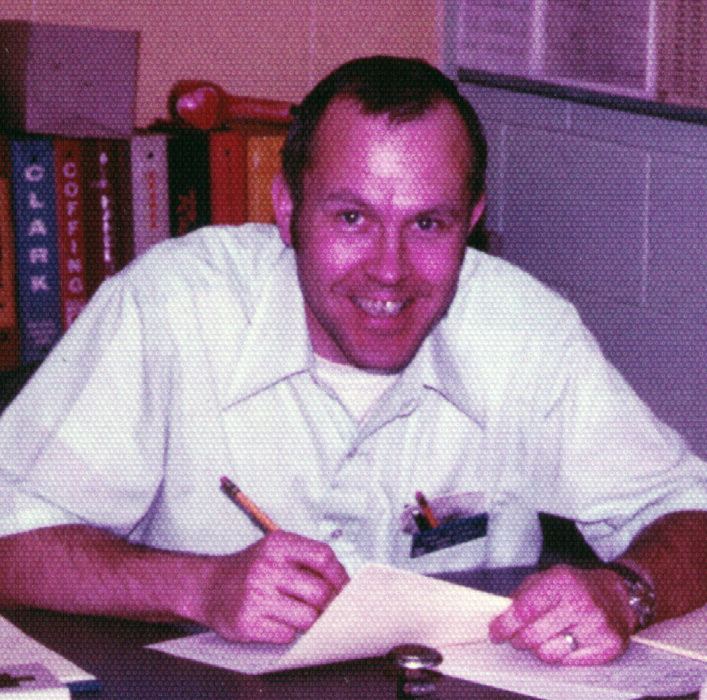 He attended Mankato Commercial College from 1961 – 1962 where he met his wife to be Beverly Ulm. They married in 1963 and had 55 years together. They lived in Owatonna since 1964 and worked at various places. The last job was at OTC (Power Team) for 24 years. Hank is survived by his wife Beverly, daughter Becky and son Jay; grandchildren, Tanya and Tyler; great-grandchildren Chloe and Derek; sister, Jean Moleaar and many cousins. Please wear blue jeans to the visitation in honor of Hank’s final request. A private family service will take place at Forest Hill Cemetery at a later date. In lieu of flowers donations to the American Cancer Society are preferred.